Title: Riccarton : formerly Central Avon Road District. Physical Description: 1 map : colour ; 47 x 32 cm. on sheet 76 x 56 cm. 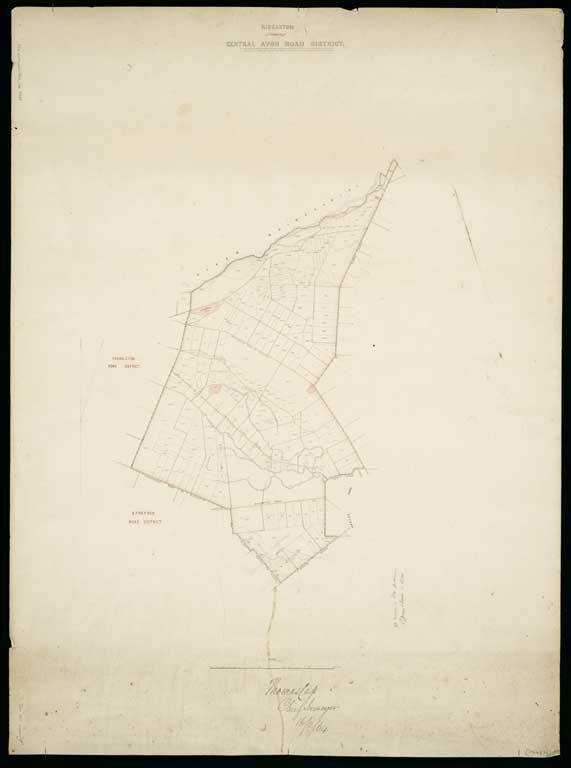 Notes: Signed: Thomas Cass, Chief Surveyor, 16/2/64.